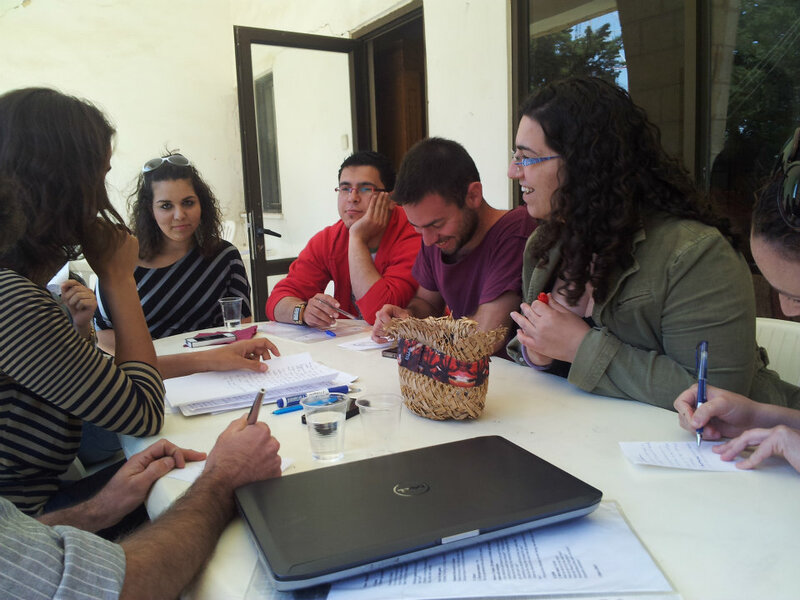 During the meeting, one Palestinian participant said: “For me, the reason behind making the films was so that they can reach places and people I can’t reach”. For this participant, the most important step forward is to have his Israeli counterparts screen the films to other Israelis in places he isn’t allowed to travel. 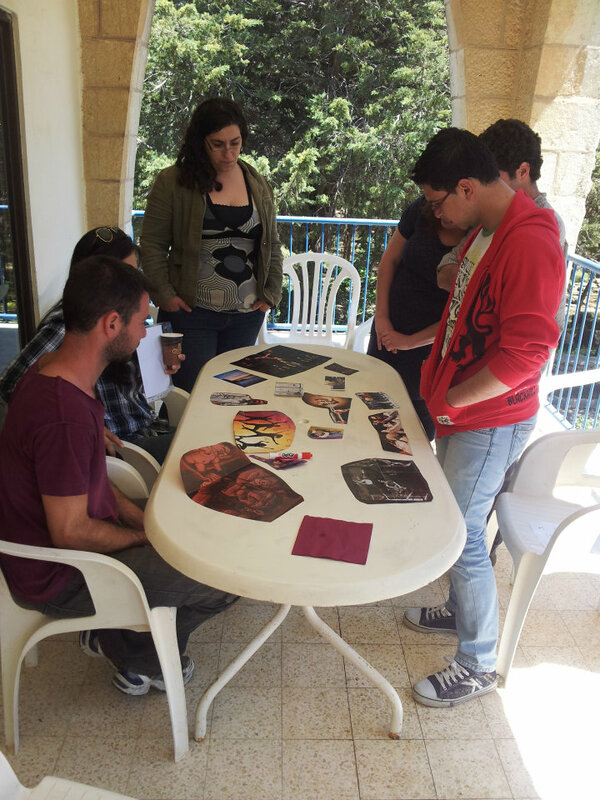 An Israeli youth said that he wants to make sure we continue developing the dialogue component of our program, so that he can better understand the stories of his Palestinians neighbours. As an exercise, the youth were given magazine cut-outs and asked to choose the picture that best reflected how they felt when they returned from the summer program. Participant Shai said that he came out of the session with "a lot of energy" and figured "many things out." Another participant Khalil, chose a black and white image that he explained "...represents the fact that I felt clarity upon returning from the summer camp. I figured out how to live, a daily routine, what I want, with limits and boundaries." The youth are hoping for further bi-national collaboration, facilitation training, and teaming up with other youth facilitators or groups in the region. The day ended with everyone eager to host more screenings and dialogue sessions.